We all know that here at afternoonbookery i love a cafe book and stepping foot into Millie Vanillas Cupcake Cafe i instantly felt at home, with the fresh baked treats and a wonderful mug of coffee. It was welcoming, warming and the perfect solution to a breezy day at the seaside. Millie has been running the cupcake cafe since her parents died, and has put her heart, soul and love into it, so when a rival branch sets up just round the corner, and its set to be the next big thing, this could be a bit of a problem for Millie, throw in a handsome stranger who is creating new feelings for Millie, and some bickering loyal customers and what you are left with is, is a world you really want to help out in. 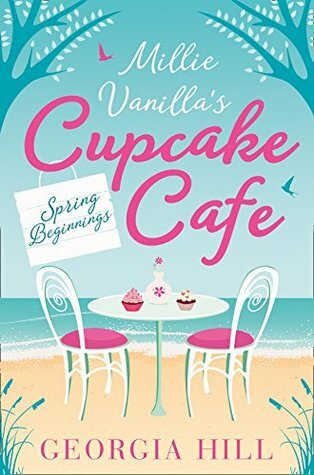 Millie Vanillia's cupcake cafe is a wonderfully delgihtful read with enough drama to give the reader something to get stuck into (i must admit i had guessed a few things but that didn't make it any the less enjoyable for me!) 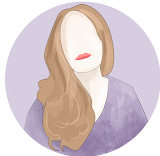 Millie is a strong independant woman who has coped alone for such a long time, that you really want something good to come her way, and it seems that is the case with Jed. Jed starts off as a bit of a mystery, turning up one day at the cupcake cafe (out of season and not a local!) but soon has us all swooning over him, but how much can you really know about a stranger? Throw in a few regulars at the cafe, who have the same order and the same arguments everyday and you get a real sense of the community in the town. Georgia has managed to create such a wonderful atmopshere in such a short space of a read, its realistic - we all have friendship dramas, love issues and just want to be supported. There wasn't really one bit where i thought - well this is okay, it was all just what i wanted it to be for a cafe seaside book. Descriptive in its cakes, the beach and its characters. Its just a shame that there wasnt more too it, but that only means one thing - book 2 is going straight on my TBR.